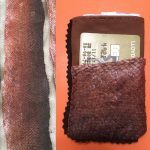 Shop for Flex Frame wallets, coin purses, card wallets or billfold wallets made of Salmon leather and other fish skins and other naturally tanned Fish Leather in my PaivatarYarn Etsy Shop. 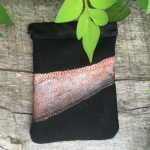 The salmon and other fish skins are a zero waste product. 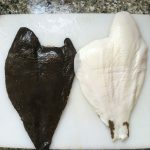 I purchase the fish skins from local fish suppliers that would otherwise be discarded. 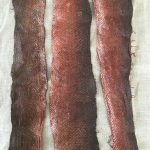 Fish tanning is a long and complex process. 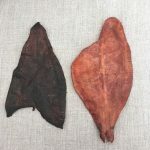 The fish skins must be descaled, cleaned and soaked in a tanning bath for several weeks. I only use natural ingredients such as tree barks to make the tanning baths. 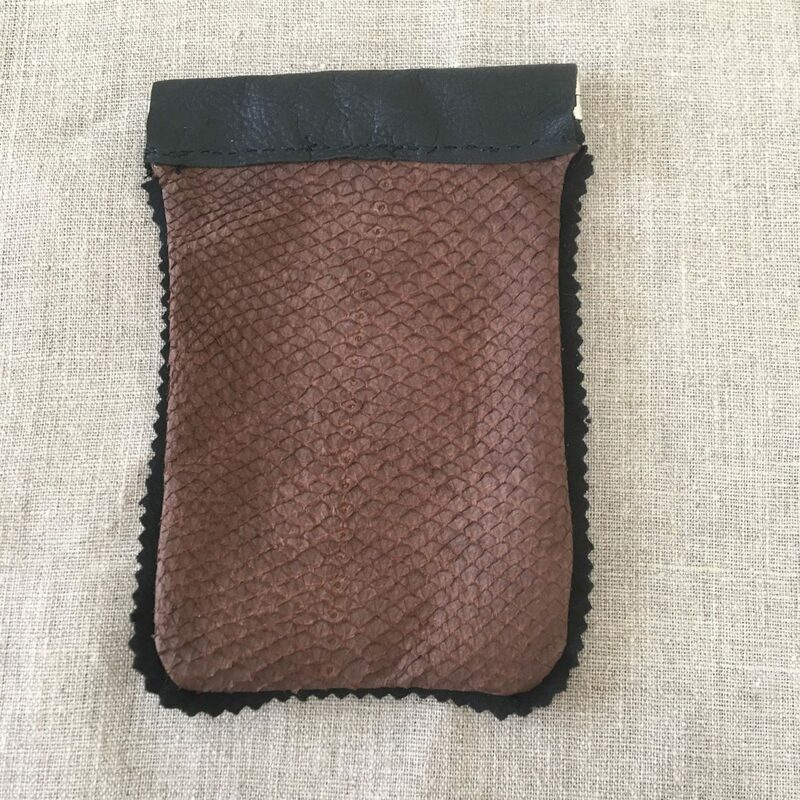 After the skin is fully tanned, then it is treated with a natural oil and rubbed by hand to soften the leather. 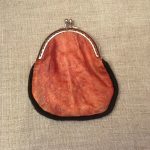 Salmon leather has a soft and natural suede finish. 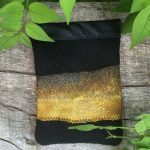 When tanned with tree barks, the natural shading and pattern of the fish skin is retained. 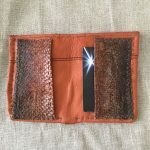 The Sami people were known to tan fish leather as well as reindeer, in order to make purses, pouches, clothing and other items for everyday use. 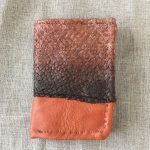 Reindeer leather is a precious commodity that is difficult to source. 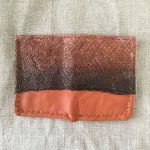 Most of the reindeer hides are used by the Saami people for their own clothing and personal use. 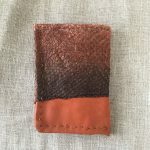 I am only able to purchase the reindeer leather in small quantities that are sold as scrap leather. 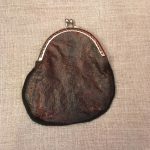 I stitch the small pieces together in order to make purses, pouches, reindeer bracelets and other items. 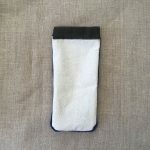 Nothing is wasted. 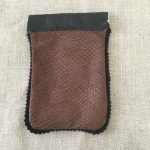 Fish leather coin purses – hand stitched fish leather and reindeer leather kiss frame coin pouches.